It time again for another fun-filled BB episode of delight. 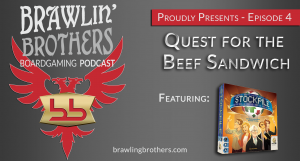 In what shall soon be a time honored tradition, it’s always great to hear about beef sandwiches and Mr. Ed (no horses were harmed in the making of this podcast). Ding counters and war room pictures?? Ooooohhh, joy! We (finally) talk about a game we played this week, ‘Gravwell’. Our audience is interacting with us in a fun new way ~ calling our digital voice line; we love it and we ask for MORE! ‘The Ancient World’ grabs our attention and gets our play through and review. 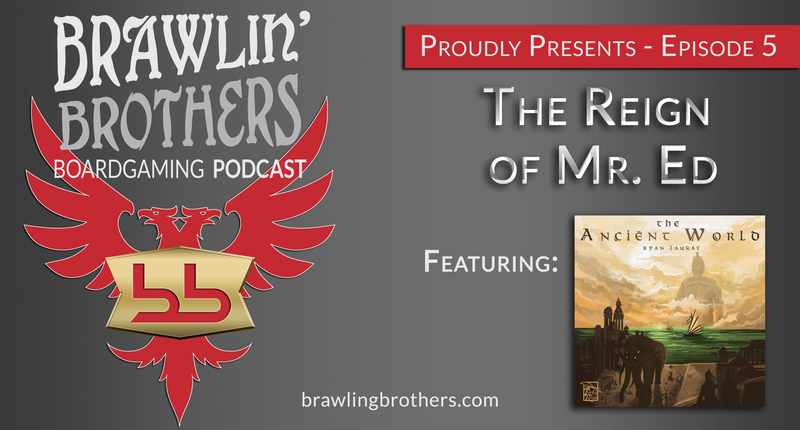 The podcast ends with the BB Feature segment featuring a fan favorite, “Favorite Games in the Following Categories”. How to say twenty in Spanish – Lots of thanks goes around – Chic-filet or beef sandwiches? – Moth Attack! 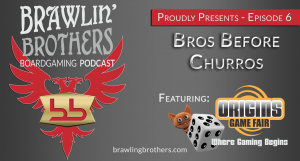 – Brandon backs it up – Ding winners – Xwing cheats – War Room pics (maybe) – 575-616-BROS – Is ‘Gravwell’ about gravel or is it about space? – Ricky and John stop in to serenade us – Titans break Brandon’s chair – Titans need money and love too – Josh doesn’t like war as the main strategy ?!? Whaa?!?! – The hat chooses the best categories to argue about – Filler games – Fireworks Fun – Auction, yay! – Hidden Movement – Area Control – why so much hate for Twilight Struggle, Brandon? – Can we get Josh to play ‘Seasons’ again? 00:13:25 – Gravwell is FUN!